2020 Trinity Catholic (Mo.) running back Reggie Love‍ released his Top 7 on Monday evening. Notre Dame made the cut along with Illinois, Kentucky, Nebraska, Purdue, TCU and Wisconsin. The 5-foot-11, 175-pounder most recently visited Notre Dame in the fall for the Stanford game. Notre Dame won 38-17 and Love was impressed with offensive coordinator Chip Long. 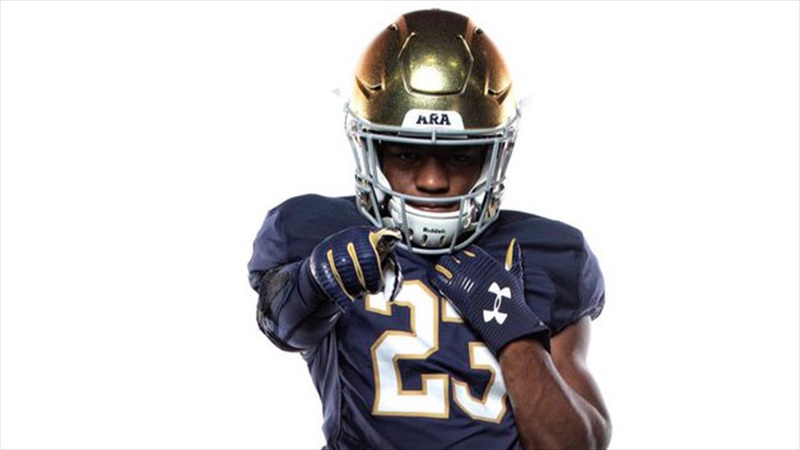 As for a fit at Notre Dame, Trinity Catholic head coach Terrence Curry believes his star would succeed in South Bend. “First, it’s his academics,” Curry said. “He’s a high-performer in the classroom. Secondly, he’s just a great person off the field. Love ran for 203 yards and touchdown in a State Championship win this fall.